Lenni-Lenape Indians were the original dwellers of the Absecon Island where the Atlantic City rests. Absecon’s first name was Absegami which was named by these Algonquian-speaking people. The term means “little water” which denotes that a shore was insight opposite of the bay. The name was changed to Absecon Island as time goes by. The island was ignored by the settlers of South Jersey since there was no land transportation that they can use to reach the area. Only boats can be used for transportation. It was in the late 1670s when an Englishman named Thomas Budd purchased the land valued at four cents per acre. Because of his claim against the holders of the royal grant, the island was sold to him as part of the settlement. Thomas Budd was the first documented owner of Absecon Island. For the next century, Indians, mainland settlers and hunters visited the island. Among these visitors was a white man named Jeremiah Leeds. At age 31, he constructed a permanent structure in the island which is known today as the Arctic and Arkansas Ave. He and his family were the Atlantic City’s first official residents. Leeds family had a farm and called it Leeds Plantation where corn and rye were grown and cattle were raised. But in 1838, Leeds died and left his second wife Millicent. Fortunately, Millicent received her license to operate a tavern and she called it Aunt Millie's Boarding House. This was the first business in Atlantic City located at Massachusetts and Baltic Ave. Some of Jeremiah and Millicent’s children has been successful on the path they had chosen. Robert B. Leeds was the first post master of the city while Chalkey S. Leeds was its first mayor. Both of them were born in Atlantic City. Prominent physician Dr. Jonathan Pitney, Jeremiah Leeds’ descendant, saw the difficulty in the island’s accessibility. He saw the potential of the island and envisioned it to be a health resort. With the help of a civil engineer from Philadelphia named Richard Osborne, the idea of bringing the railroad to the island came. The Camden-Atlantic City Railroad had begun its construction in 1852 and the first train from Atlantic arrived on July 5, 1854. Despite of an exhausting 2 ½ hour trip, tourists began to invade the island. Osborne named the city while Dr. Pitney was responsible for the names and placements of its streets. Atlantic City’s seaport was also busy transporting visitors in the city. However, a number of tragic wrecks off the shore where the sinking of the vessel Powhattan was the most tragic. The vessel carried 311 German immigrants and 54 bodies were buried in Smithville Methodist Church cemetery and 45 bodies were buried in a mass grave in Absecon. In the same year of the tragedy a lighthouse was erected as Dr. Pitney advised. The lighthouse was turned on after a year and it stands today over ½ miles from the beach. In 1870, the first official road ran from Pleasantville with $.30 toll while the first free road was constructed in Albany Ave. Although the road and mode of transportation were improving, Atlantic City hoteliers faced a big problem. Sand is everywhere. The flooring and plush lobby carpets were filled with sand as well as train cars. The problem was resolved with the ideas from an Atlantic City-Camden Railroad conductor Alexander Boardman and hotel owner Jacob Keim. Both pitched the City Council for the construction of a boardwalk. Construction and re-construction took place when the boardwalk was renovated and hit by hurricane. From a 10 foot wide and one mile long boardwalk, it is now expanded to 60 feet wide and 6 miles long. From 1870 to 1940, Atlantic City celebrated its “firsts” during its heyday. The first picture postcards in the United States were scenery of the Atlantic City occur between these years. Also, the invention of Salt Water Taffy happened in 1880. In addition, an "observational roundabout" on the Boardwalk was built by Williams Somers. A dozen casinos sprang up during the 70s, 80s and 90s. 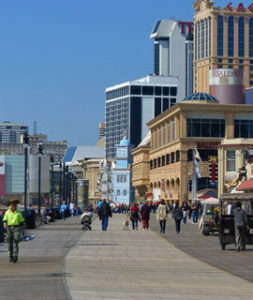 Today, there are a lot of activities to do in Atlantic City. For casino gamers, there are casino spas open 24/7 for a thrilling card game experience. For history and art buffs, Atlantic City Historical Museum and Art Center on Garden Pier, Atlantic City Aquarium, Absecon Lighthouse, Lucy the Elephant and the Noyes Museum of Art are good places to go. Food and wine festivals, seafood festivals and collegiate sports are among the events that tourists can choose for a delightful vacation. Atlantic City Airshow is the best event during the summer season. 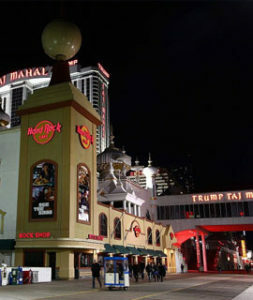 Atlantic City It is the best place to travel throughout the year. Luxury and upscale hotels for your comfort. Have unforgettable moments. 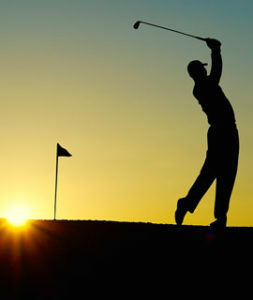 Find more than 20 options for the sport. Learn or play like a pro. 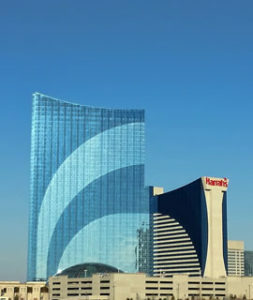 In Atlantic City you will find the best brands and products prices. For casino gamers, there are casino spas open 24/7 for a thrilling card games.